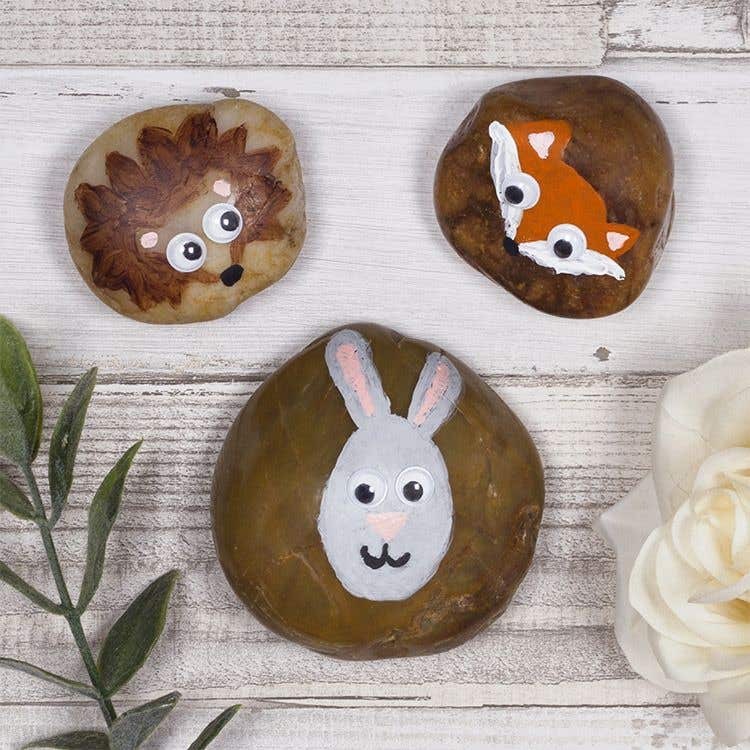 This autumn create this cute woodland animal painted stones. They make a lovely decoration and can also be used as paper weights. 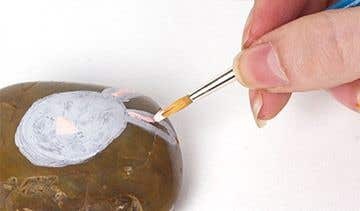 Paint the outline of a bunny onto the top of a stone with a light grey paint. Mix up a shade of light pink paint to paint the inside of the bunny's ears and its nose. Paint on the mouth with black paint using a fine tipped paint brush. Stick to wiggle eyes to create the bunny's face. 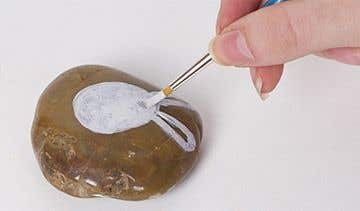 Use this same technique to paint a range of different woodland animals onto the other stones. 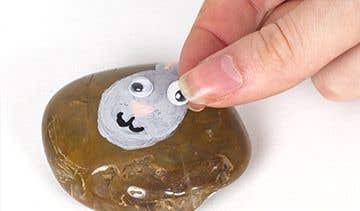 Use a paint colour that contrasts to the colour of the stone to make the animal stand out more.